Remove tough grease and food stains with this Noble Chemical Power Metal Safe detergent. 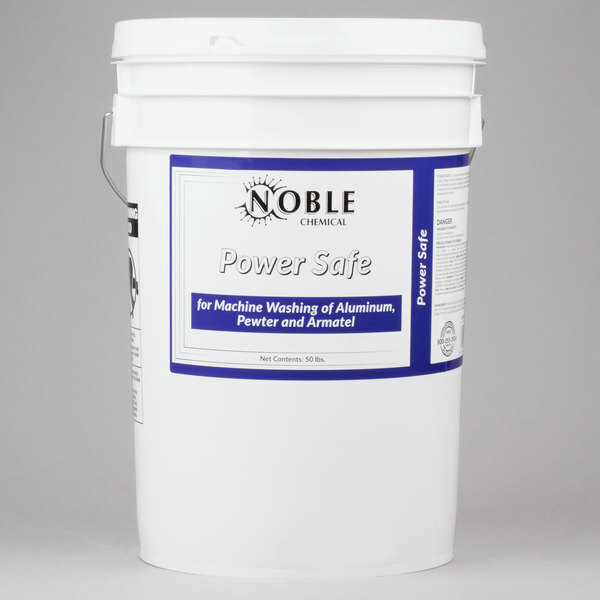 The specially designed, concentrated powdered detergent is safe to use on aluminum, pewter, and all other soft metals. With no risk of damaging the finish, this detergent will leave your pots, pans, and trays shining like new! Long-lasting and powerful, this detergent works in all water conditions and with all soil loads. Simply use titration to determine proper dilution and you're ready to clean.